Curved devices are hot right now, from TVs to wearables. 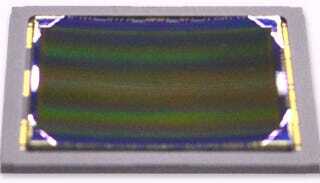 But a curved image sensor is more than just a fashion gimmick. It actually could drastically improve the way cameras gather light from a lens, improving image quality whether on an iPhone or DSLR. The technology is still young, and Sony has only managed to make about 100 of the sensors, but some are already speculating that it could make its way into consumer products soon. There are two versions of the curved sensor, one of which is 43mm, possibly suiting a follow-up to the RX1 compact camera, and one which is 11mm, suited more for mobile devices.